When an advertising and software company as big as Google makes as bold and unpredictable a move as purchasing a hardware manufacturer, it’s sure to turn heads. In the aftermath of the announcement last month that Google would be purchasing Motorola Mobility, much was said about the intent behind the move. Google’s decision to purchase Motorola may look at first glance as a way for the company to snap up a huge trove of patents related to the mobile industry. But Google had the ability to purchase those patents outright in the form of the Nortel auctions of a few months ago, or the upcoming InterDigital patent sale, which they may still participate in. Yes, Google’s purchase of Motorola Mobility was about planning for the future and about protecting Android through patents, but it wasn’t only about patents. Patents have been the rallying cry of justification for Google’s purchase of Motorola Mobility. The recent failure of Google to acquire a portfolio of key patents from telecommunications company Nortel certainly makes that seem like the most likely reason anyway. And it’s a good reason too. Google is seeing the distribution of Android, something that it does for free in order to get more eyeballs on its products and therefore its ads, being nickel-and-dimed by companies with larger patent hoards like Microsoft. If Google didn’t make a bold patent move, and quick, it ran the risk of effectively paying its partners to use Android. Google had the chance to purchase such protection for Android during the Nortel auctions, where some 3,600 fairly valuable patents were up for grabs. But it lost that auction to a group of buyers that included rivals Apple and Microsoft and the once-relevant Research in Motion. There has been some speculation that Google was just screwing around in those auctions, baiting its opponents and driving the price of the stocks up, while having no real intent to purchase them. This makes for a sensational story, but it also doesn’t make any sense. Google had to know, even then, that it couldn’t afford to be playing games with Android’s future. It is much more likely that Google wanted the Nortel patents, but it didn’t get them because it was outbid. This is backed up by MG Siegler, who references sources at Google who told him off the record that they were severely pissed that it lost the auction. Siegler’s sources are generally very solid and I believe that he was told by many people at the company both ‘up high and down low’ that Google wanted those Nortel patents. Although the current deal is said to have been put together in just a few weeks, beginning after the Nortel auction, you can be sure that Google’s CEO Larry Page has had his eye on a hardware vendor for a while now. Page wants to create a way to present Android in a pure form that ensures the uninterrupted growth of impressions of Google’s mobile ads. But more than anything, Page wants a hardware dynasty to call Google’s own, graduating it from a software company to the new-style vertically integrated model that will allow Google to not only create software, but ensure that user experiences it in the way that Google wants. Google got patents, but what are they worth? The importance of the patents that Google gains in this acquisition shouldn’t be understated however. While quantity shouldn’t be confused with quality, especially when it comes to patents, the 17,000 patents that Google will get in the sale, along with the some 7,500 more that are pending, represent a significant bolster of Google’s defensive base for the future. In addition, Google only paid a little over $510,204 per patent in the Motorola deal, while Apple, Microsoft and RIM paid $750,000 per Nortel patent. Using the ‘simple math’ Google actually paid a fair market price for Moto’s patents, not including the hardware business at all. But there are signs that the patents that Motorola Mobility holds are not actually all that valuable as a protection for Android, as they haven’t prevented Apple from bringing suit against Motorola over various patent claims. While these patents may not appear to be a deterrent against Apple in the current litigation that Motorola is undergoing, they shouldn’t be dismissed as a basis for future protection. It seems likely that Google sees at least some value here, probably in a few key patents that relate to basic cellular technology. But, at least at this point, they don’t look like they’re important enough to base the whole $12.5B purchase price on. That’s where the upcoming auction for wireless technology company InterDigital comes in. InterDigital holds some 8,800 patents with 10,000 pending applications around the world. Companies like Nokia, Apple and Qualcomm are looking into laying down bids for the companies’ assets. But, if Google feels that Motorola’s patents don’t offer enough future protection for Android, then it may very well enter the fray here as well. Google still needs more patent protection and it won’t stop at the Motorola buy to get it. I would be very surprised not to see the InterDigital auction get very heated, no matter what signals Google may be trying to send out. If you think that controlling the hardware that Android is installed and distributed on hasn’t been on Google’s mind, then you haven’t heard the whole story. A recent internal document from a Google strategy meeting laid out two possible ways that the company could ensure that it could continue to benefit from Android. Those included developing the supposedly open-source Android more secretly and preferring certain hardware manufacturers, like Motorola, over others. But, as I mentioned, if you’ve been watching Google’s strategy, you’d have seen this tendency from day one with the Nexus products. When Google created the Nexus program, it was setting out to ensure that there was a comparison available for other manufacturers to measure their Android efforts by. The Nexus One was an interesting product but was overshadowed by the failed attempt by Google to sell it outside of the carrier system, without subsidy and without making deals. Subsequent Android phone releases have not only adhered to the system, they’ve essentially wallowed in it. This means that most Android phones are chock-full of bloatware from the carriers, have skins and sometimes full UI replacements forced upon them by manufacturers and are generally a poor example of a pure Android experience. In recent phones, only the Nexus S, also another experiment in a ‘pure’ Android experience, stands out as representing Google’s brand the way that it thinks it should be. There are other great Android devices, like the Galaxy S II, but they’re mired in manufacturer customizations and carrier bloatware. The Nexus S, now available on three of the four major carriers, carries itself proudly on the back of a design that features no carrier logos, an instantly recognizable curved screen and makes for the best user-experience on Android. Besides the Samsung logo on the back, it’s a great example of the kinds of products that Google wants out in the market showing off its OS. While its party line now is that it plans to treat all Android vendors the same and that Motorola Mobility will continue to be operated as a separate entity, that’s just politics. Whatever Google’s plans for Motorola, it is going to take time. In the interim, expect Android to plug along in much the same way as it has been. There is no need for Samsung, HTC or other Android manufacturers to make any changes as long as Android holds the market share that it has and continues to grow. Even if you know that your gravy train is going to go off the rails at some point, you’re going to keep riding that train until it’s not profitable any more. That being said, some companies, like Samsung, are already making plans to explore alternatives for when the hammer drops. Google has just gotten a hardware arm grafted onto it that it can use to create mobile experiences which will ensure that their software always takes front and center on its devices and that it can count on to keep the platform moving forward. This way, they can set a point by which Android devices are measured, it can’t ensure the that the quality of those devices going forward stays high. Google must have done the Motorola deal with hardware on its mind in addition to patents. It’s the only possibility that makes sense. I just don’t ascribe to the idea that Larry Page wants to be Steve Jobs, and I definitely don’t think that Google wants to be Apple. Nor could it be if it even had the desire. Google is a software company that makes its money off of advertising, Apple is a hardware company that makes its money off of hardware that runs its software. The fundamental approaches of these companies to the mobile business will be, and should be, different. But there are a couple of things that Apple is doing very right with their hardware, and that Google could stand to use as a model. Google needs to be Google but it’s going to take a lot of adjustment to bend its will to the creation of hardware in a meaningful way. First things first, Google will have to reset its thinking when it comes to perfecting products. As a software company that is famous for its lengthy public ‘beta’ periods where it tweaks and prods its products in plain sight of users, Google will have to wrap its head around the fact that hardware is made perfect in the same way, by iterating, but not in public. Apple has been known to make many versions of a product before ever releasing it, being careful to say ‘no’ to anything questionable before it ever gets seen by a customer. This allows it to winnow down its options to only the best of the best, rather than just cramming every feature imaginable into a device. Many iPhone models over the years have left out features that many considered mandatory for phones, but that Apple deemed unready by its standards. The second thing that it needs has more to do with maximizing both design resources as well as leveraging supply chain relationships to generate a pricing advantage. 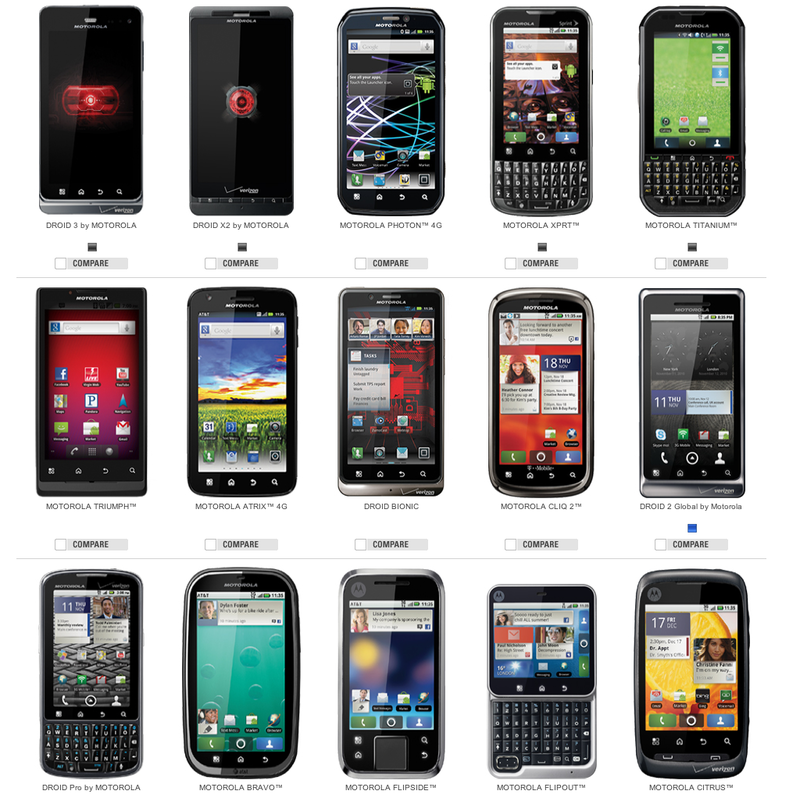 Simply put, Google needs to be ready to minimize the number of handsets it puts out through the Motorola arm. Currently Motorola offers 26 devices across the smartphone and ‘featurephone’ gamut. Narrowing its focus to half of that number or even less could allow the company to create a more efficient and more cost-efficient pipeline for sourcing components and improve the user experience due to a higher level of care given to less products. Motorola’s share of the smartphone market dropped to 12% in Q2 of this year, with its Android market share dropping by half from 44% to 22%. A more focused, more polished and more profitable lineup of devices that project more of Google’s true vision for Android and less that of a carrier or manufacturer can only be a good thing. Whether Google continues to allow Motorola’s market share to slide as it continues to offer a huge array of individual devices, or if it exercises its ownership to make a change remains to be seen. If it is able to produce devices that exhibit the hardware genius that used to permeate Motorola’s products, along with the ‘on-message’ Android experience of devices like the Nexus S, we could end up benefiting from the best Android smartphones yet.